It’s true. Nothing brings a family closer than an impromptu pillow fight, game of hide-and-seek, or a side-splitting round of Apples to Apples. Happily, December holidays give us more time for the blissfully nonproductive, unrushed moments that we all crave. Whether your family’s traditions tend toward baking cookies or shredding moguls together, we’d like to suggest a few more fun activities, ranging from downtown to right here in Stepping Stone. Scrooge himself couldn’t resist cheering on the festive floats at Denver’s most classic holiday tradition. In its 41st year, the Parade of Lights winds its way through two miles of Downtown Denver streets, starting at the City & County Building. 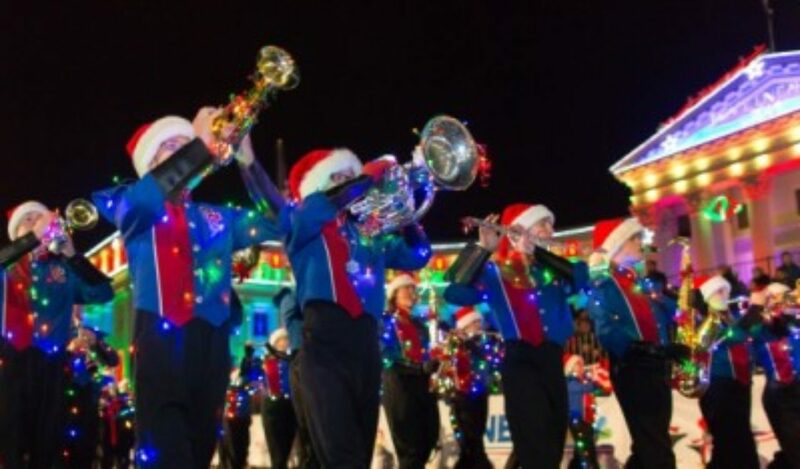 This free holiday spectacular features marching bands, ornate floats, and a special appearance by Major Waddles the Penguin and Santa himself. Stake out your own spot or reserve limited grandstand seating for $16-19 here or call 866-461-6556. Learn more. Sure, it’s the busy season up at the North Pole, but Santa is making time to visit the children of Stepping Stone. If you’re a homeowner or under-contract buyer, bring your kids for cookies and wish list sharing with the big man in red. Look for your invitation in the mail! RSVPs (with number of children) are required. 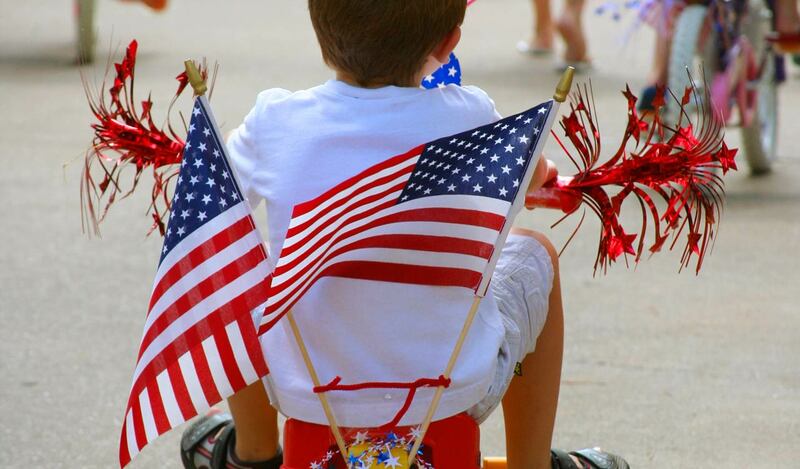 RSVP to Kimberly.Aiken@advanceHOA.com. The large, active Jewish community in the metro area is bursting with ideas for celebrating the eight days of Hanukkah. 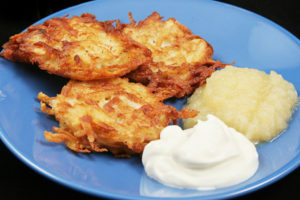 Bring your family to a yummy Latke Taste-Off at Temple Micah on Dec. 5. The wondrous Festival of Lights (this year in Boulder), presented by the Colorado Hebrew Chorale, is on Dec. 6. And a heartwarming community Menorah Lighting is coming up on Dec. 9. If you already know about the leg lamp, frozen flagpole, and “you’ll shoot your eye out!” from the 1983 movie, you’re sure to enjoy the musical version, direct from Broadway. Nominated for three 2013 Tony Awards, including Best Musical, the play is set in 1940s Indiana, where a bespectacled boy named Ralphie has a big imagination and one desperate wish for Christmas: an official Red Ryder, carbine action, 200-shot Range Model air rifle. At the Buell Theatre. Ages 4+. Tickets start at $25. After all that family time, how about a New Year’s Eve for just the two of you? Sit back and enjoy a Viennese-style concert of polkas, waltzes, and marches performed by the Colorado Symphony at Boettcher Concert Hall. Afterwards, stroll hand in hand down to the 16th Street Mall for fireworks and still be home to Stepping Stone long before the clock strikes midnight. Tickets from $29-$89.